Jack Dragna | What's YOUR Ghost Story? Los Angeles mafia began to put down it’s roots in the early 1900s. Like the rest of the country, the mob found its strongest period as a result of the 18th amendment banning the sale of alcohol in the 1920s. This opened the door for mafia-run bootleg liquor distribution. During these early days the LA mob had its first boss, Joseph “Iron Man” Ardizzone (pictured, left), the only LA crime boss to have the “honor” of meeting his end at the hands of his own men. 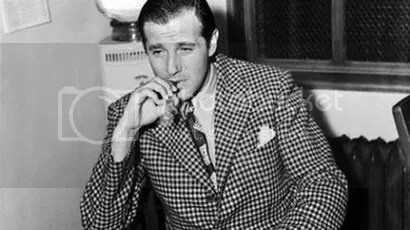 It was in the 1940s and 1950s, however, that the Los Angeles mafia was at it’s strongest, under the powerful Jack Dragna, followed by more public east cost transplants Bugsy Siegel and Mickey Cohen. 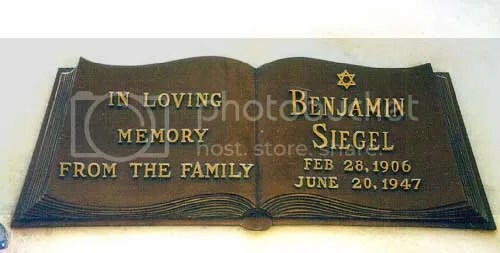 Benjamin “Bugsy” Siegel was born into a poor Jewish family in Brooklyn, and decided at a young age that he would rise above that poverty by any means necessary. Siegel made a name for himself in New York running “Murder, Incorporated,” a hit-for-hire business with friend Meyer Lansky and bootlegging during prohibition. After prohibition was brought to an end, Siegel set his sights on gambling operations. He was sent to LA by Charles “Lucky” Luciano in 1937 on behalf of the National Syndicate, an origination of crime families from NY, Chicago, and New Jersey. Luciano is known as the father of the American mob. He was the mastermind who split New York into its Five Families. It was also Luciano who advised Jack Dragna, who was the standing mafia boss in LA, that it working with Siegel would be in his “best interest”. Right away Siegel proved Luciano’s words to be true by “talking” all of the local gambling bookies into paying a tribute to Dragna for operating on his turf, adding to Dragna’s considerable wealth. With the reluctant help of Dragna, Siegel was able to set up a horse racing wire service, known as Trans-America. He also helped the Syndicate set up a drug trade between Mexico and California. 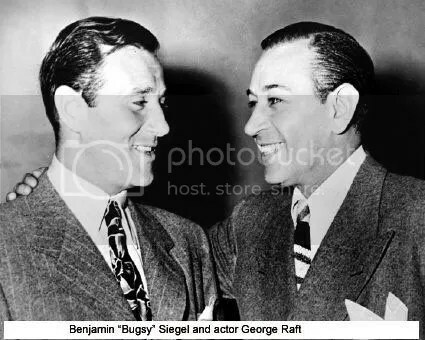 In addition, Siegel made money by extorting large film production companies, helping unions organize strikes and then forcing the studios to pay him to get unions working again. Always the scammer and skeemer, Siegel would borrow money from celebrities he was close to, knowing that they would never ask the mobster for it back (some estimate taking in $400,000 in these type of “loans” in one year!) Of course, Benjamin had to pay a small tribute to Dragna for working in his territory. 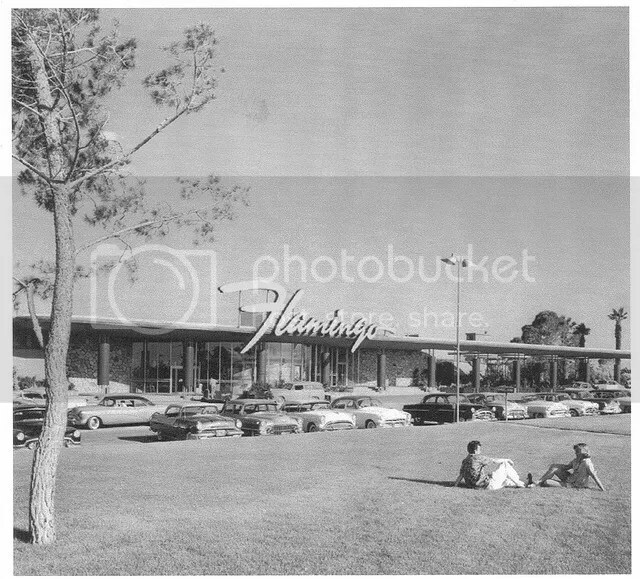 During Siegel’s stay in the city of angels, he set his sights on the sleepy frontier town of Las Vegas, helping fund (with lots of money from the NY mafia) the first big casino on what would become the Las Vegas Strip, the Flamingo Hotel. 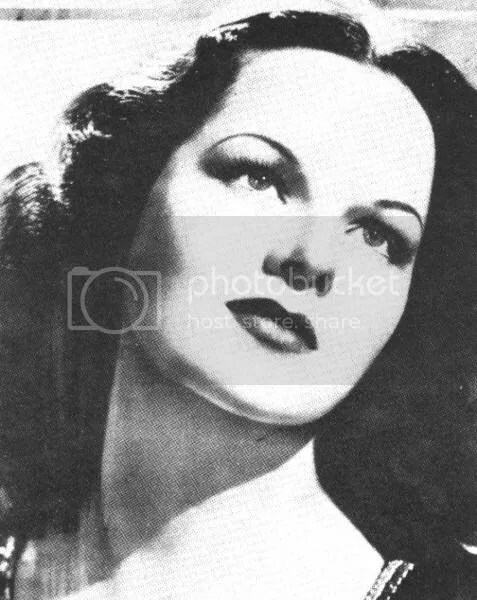 The Flamingo was named after Siegel’s girlfriend, Virginia Hill, who had red hair and long legs that earned her the nickname “flamingo” form the usually fuming crime lord. Unfortunately for “Bugsy”, Virginia might not have been as trustworthy as he believed her to be. Money started going missing and proper expensise reports were never shared with the Syndicate. People suspect that Hill was skimming money from the project. The vastly over-budget Flamingo hotel and casino was failing, the New York crime bosses became furious. 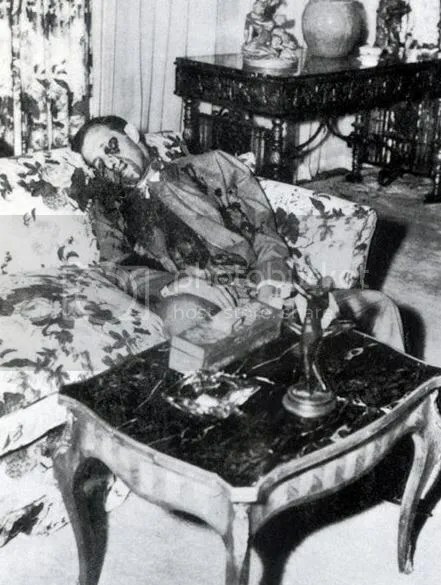 Three months after the Flamingo’s second opening, Benjamin “Bugsy” Siegel wad shot and killed at the home of Virginia Hill.